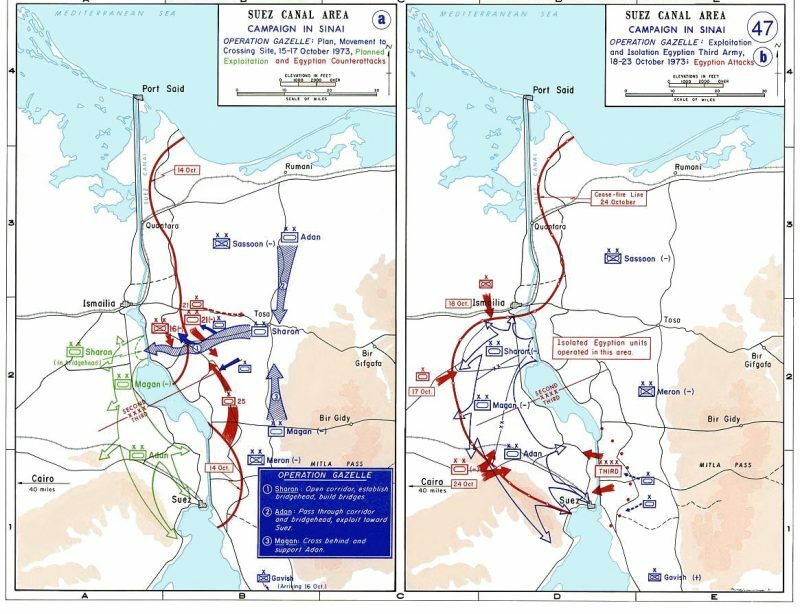 On October 6, 1973, Egyptian and Syrian forces launched a coordinated attack against Israel on Jewish Holy Day of Yom Kippur (Day of Atonement), hoping to win back territory lost to Israel during the third Arab-Israeli war, in 1967. The Yom Kippur War continued from October 6 to 25, 1973. The date of Yom Kippur was chosen because it is the holiest day in the Jewish calendar. 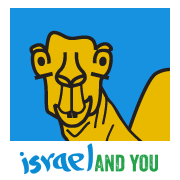 This was the Fourth Arab-Israeli War. The combined forces of Egypt and Syria totalled the same number of men as NATO had in Western Europe. The build up of the Egyptian forces did not convince Israeli Intelligence that war was forthcoming. Russian civilians were leaving Egypt and Syria. Israel had a spy in Egypt, Ashraf Marwan, ex-president Gamal Abdel Nasser’s son-in-law. Marwan passed on a warning to Zvi Zamir, head of the Mossad in London that war was imminent a day-and-a-half before it started. I met Zamir when he was Manager of the Oil Refineries Ltd. A controversy still exists over whether Marwan was actually a double agent. We will never know because Marwan fell to his death under mysterious circumstances in 2007. 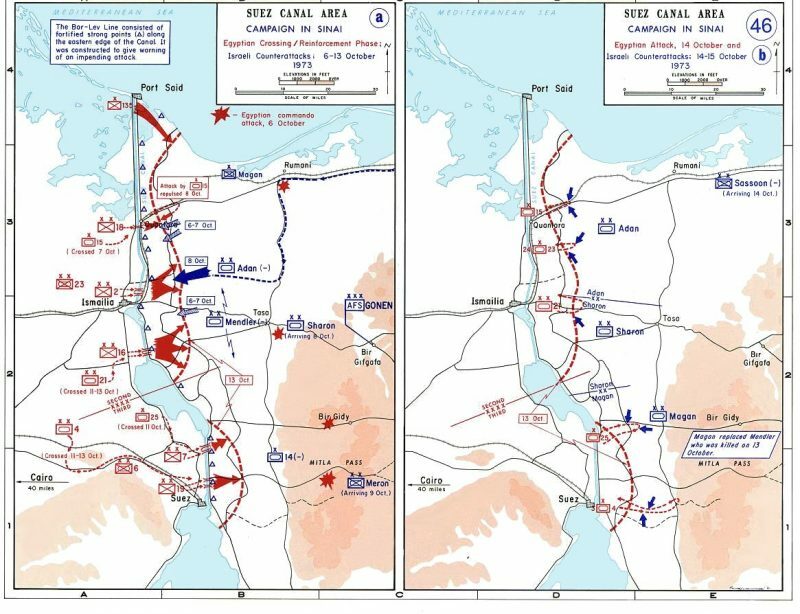 On October 6, 1973 – Yom Kippur, Egyptian troops swept deep into the Sinai Peninsula, taking the Israeli Defense Forces by surprise. In the Suez region just 500 Israeli soldiers faced 80,000 Egyptian soldiers. Egyptian forces successfully crossed the Suez Canal with greater ease than expected. 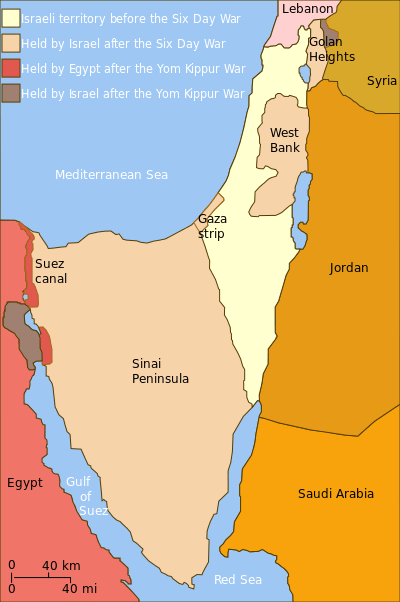 1973 Yom Kippur War Maps October 6–15. Starting as early as October 9, the Soviets began a massive airlift of weapons to their Arab allies and threatened to send Soviet troops. On October 12, Nixon ordered an emergency airlift to Israel. The superpowers were on the brink of armed intervention and came very close to a nuclear war. The USA provided Israel intelligence from the American spy-plane, the ‘SR-71 Blackbird’, showing the Israelis major concentrations of Arab forces. The United Nations had played a muted part in the whole war. 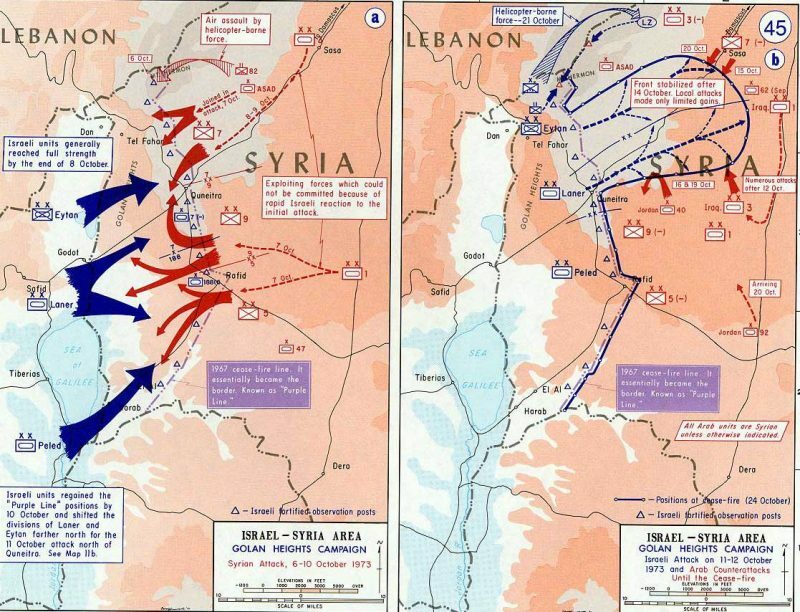 On October 6, 1973 – Yom Kippur, the Syrians also participated in the coordinated surprise attack against Israel. They made a significant break through to the Golan Heights. Syria struggled to throw occupying Israeli troops out of the Golan Heights. On the Golan Heights alone, 150 Israeli tanks faced 1,400 Syria tanks. Israel counterattacked and recaptured the Golan Heights. Initially, the Egyptians made some significant gains: The Egyptians crossed the Suez Canal and established themselves on its east bank. The Syrians overran the Golan Heights and came within sight of the Sea of Galilee. However, the wheel of fortune turned very quickly. Within a few days the IDF was on the west bank of the Suez Canal, at a distance of 100 kms from the Egyptian capital, Cairo, and within artillery range of the airfields around the Syrian capital, Damascus. The Yom Kippur War proved costly for Israel, Egypt, and Syria, with significant casualties and large quantities of military equipment disabled or destroyed. The war served as a huge morale boost to Israelis. Despite a co-ordinated attack on two fronts, Israel had survived. A cease-fire went into effect on October 25, 1973. The Arab world felt that its attack was psychologically vindicated for humiliation in the rout of the Egyptian–Syrian–Jordanian alliance in the Six-Day War. Egypt did not win the war in any military sense, its initial successes in October 1973 enabled President Anwar el-Sādāt to “pronounce” the war an Egyptian victory and to seek an honourable peace.